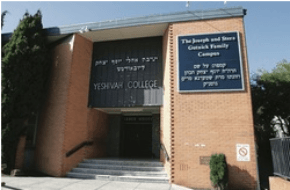 In the wake of last year’s Royal Commission into Institutional Responses to Child Sexual Abuse involving the Yeshivah College, the trustees of the Centre appointed a sub committee. This team was tasked with collating information and making recommendations to the interim Governance Review Panel, with the aim of “introducing a governance structure, ” to the Centre. According to a spokesperson from the centre, the system has been transparent and equitable, as the information is opened up to the public, with closing dates and requests for final submissions being shown to the public online. The problem then lies with the mixed messages that has received from Chabad headquarters in New York earlier this month. Waks believes that Chabad NY have “done a massive backflip. They now seem to claim that, contrary to what they initially claimed, they in fact don’t have any power or authority over the Yeshivah Centre in Melbourne.” All of which leaves the system in chaos.